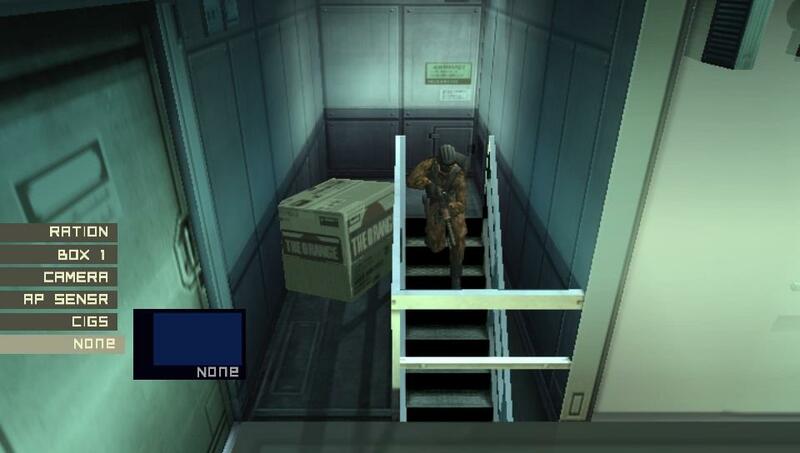 Let’s put aside any arguments over whether or not the console entries in the Metal Gear Solid series from Konami can work on a portable platform. We’ll assume that you’re okay with the idea of spending 10+ minutes watching a cutscene unfold during your 20-minute commute, and that Sleep Mode is an acceptable alternative to a quick save feature. 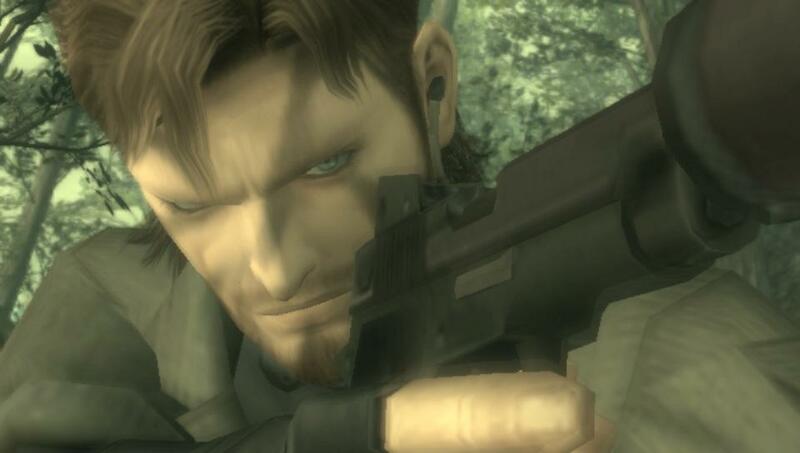 You see, Konami is bringing the Metal Gear Solid HD Collection to Sony’s PlayStation Vita, and with Metal Gear Solid: Peace Walker left out of the lineup that graced the collection’s console release, you’re looking at a collection of games that were never designed from the ground up for on the go play. Assuming you’re still interested, the question of whether or not the Vita makes sense as a platform for this release is moot. Let’s instead look at how the ports feel on a portable platform. Konami reps were showing off the game at a recent Sony preview event in New York City. 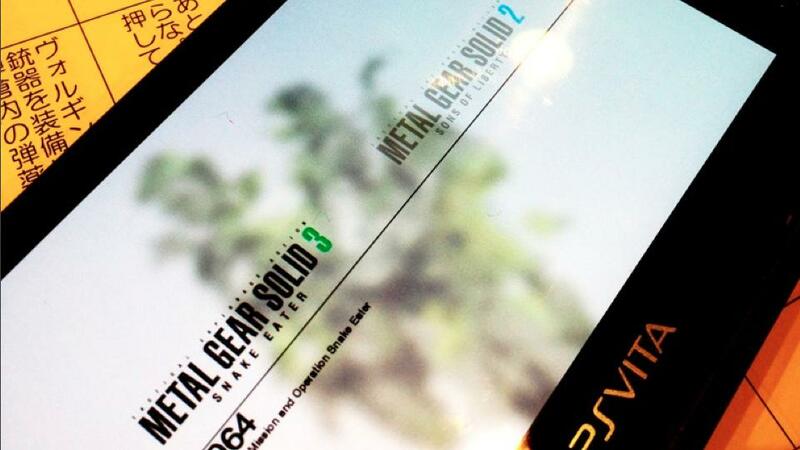 Only Metal Gear Solid 3: Snake Eater was being shown at the event, though the collection will also include Metal Gear Solid 2: Substance as well as the original two NES games in the series, Metal Gear and Metal Gear 2: Solid Snake. If you’ve already played the HD upgrade of Snake Eater on your console, then you should know that the Vita version is largely identical. The HD versions of the Metal Gear Solid games, both the portable ones and the console ones, are straight ports from a content perspective. There are a few quirks to the Vita version, however, that factor in the unique control opportunities that the platform both offers and demands. The L3/R3 buttons, for example, don’t exist with the Vita’s analog thumbsticks. Instead you’ll use the rear-facing touch pad to shake an enemy down for items and information once you’ve got him in a choke hold. In some cases touch controls are used just because they make good sense. Your item menu, for example, can be accessed by tapping the tiny thumbnail image in the bottom corner of the screen. You can then continue to use those touch controls to set up what you’re carrying for easy and immediate use. You can also swipe across the screen to slash with your knife at any time, which can be helpful when it comes to close-quarters engagements. Not every tweak works, however. A new feature allows you to swipe left and right on the front touch screen to shimmy along when your back is against the wall and peer out from behind corners. It works well enough, but it’s not particularly convenient in comparison to the standard method for doing this, of moving the analog stick in the desired direction. There’s nothing inherently wrong with the swipe option; it’s just that it feels like it was added simply for the sake of giving players another reason to touch the screen, rather than a sensible reason to do so. Another touch-based feature feels similarly gimmicky, but in an admittedly cool way. Tapping the screen and holding your finger there during any of the game’s cutscenes will automatically zoom the camera in on that location. Not only that, but the camera will automatically adjust its focus to bring the desired target into clearer view. There is literally no gameplay value for this feature; it won’t earn you anything and there’s nothing new that’s hidden away in the cutscenes for you to uncover. It’s neat though, and oddly addictive, to explore the fine details in the background of each cutscene. The Vita version of the MGS HD Collection will also feature what Hideo Kojima referred to as “Transfarring.” It’s an admittedly silly word, but it’s synonymous with a concept that makes the Vita very attractive for PS3 owners: cross-platform play. You’ll be able to save your progress in the game on either platform and then pick it up on the other one, provided that you’ve got an Internet connection handy to deal with the data retrieval on both ends. My hands-on with Snake Eater covered the game’s opening section of play. As far as HD makeovers go, it’s a very good one on this game, as those who played the console release already know. It pops on the Vita’s HD screen too, and being able to tap for closeups during cutscenes only serves to heighten the sense that this last-gen game has been made current. In terms of content, everything unfolds exactly as it did back in the PlayStation 2 days. There’s nothing new to be discovered as you take your first steps into the overgrown jungle, where alligators, snakes, and gun-toting bad guys await. You can pause and skip any cutscene or CODEC exchange, allowing MGS fans who have beaten the game before to just focus on the actual game. However, there’s really nothing to speak of that sets Snake Eater apart from other versions of the game, save that you’re playing it on a device that you can carry around with you. There are a few baffling omissions, however. The camera-enabled “create your own camouflage” feature from the 3DS version of Snake Eater is, for some reason, absent in this Vita release. It’s not like the tech isn’t there on the platform for it; perhaps it’s got something to do with Transfarring? It’s also a damn shame that HD version of the PSP hit Metal Gear Solid: Peace Walker is omitted from the portable collection when it was included with the console collection. Between that and the fact that the original PSP release isn’t available for download in the PS Store, the only portable Peace Walker you can actually play is on a UMD-supporting PSP (ie any of them other than the PSP Go). It frankly doesn’t make a lick of sense that one of the best titles from the PSP’s legacy catalog continues to be so difficult to return to on the Vita. Despite the Peace Walker omission, the Metal Gear Solid HD Collection for PlayStation Vita seems like a worthwhile portable reproduction of the console release for fans. There are enough Vita-specific features to make it feel at least a little bit fresh, and the Transfarring option makes the collection especially attractive to those who already own the PS3 release. Konami is looking to launch the Vita collection in the United States sometime this summer, so stay tuned for review coverage in the coming months.